Though Android manages and approves apps for the Google Play Store, very carefully, but still some of the apps may not be compatible with your Android device, causing your Android to be either slow or non-operational. Or on the other hand, excessive download and installation of the apps in your Android device may cause it to be too slow. But, in majority of the cases, when some Android versions are upgraded, the upgradation may not be compatible to the original and default operation system, causing the general constraint on OS. In all these cases, the user may feel need to reset the Android device. 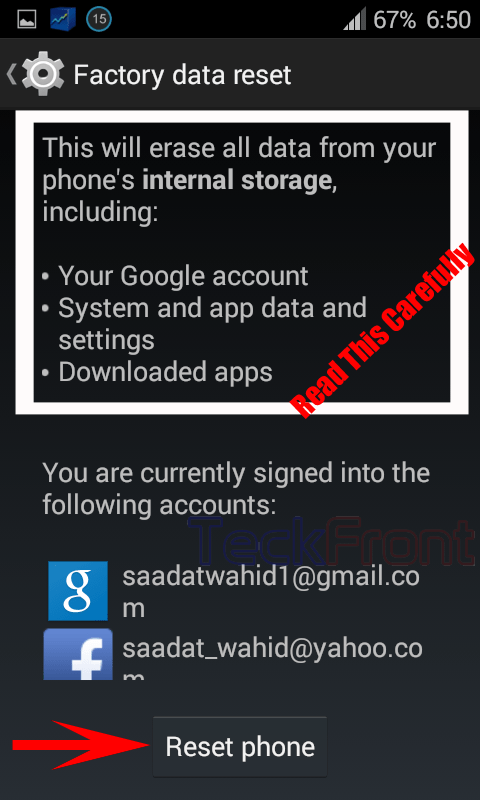 Note: But, before factory reset, you must decide; whether you are ready to let whole the existing data (including contacts, messages, downloaded and installed apps, call records, images, videos etc.) be washed, i.e. erased and gone forever. In addition after factory reset, your device will be reverted to the original and default OS which was installed in your device, when manufactured. If OK, go ahead with factory reset. 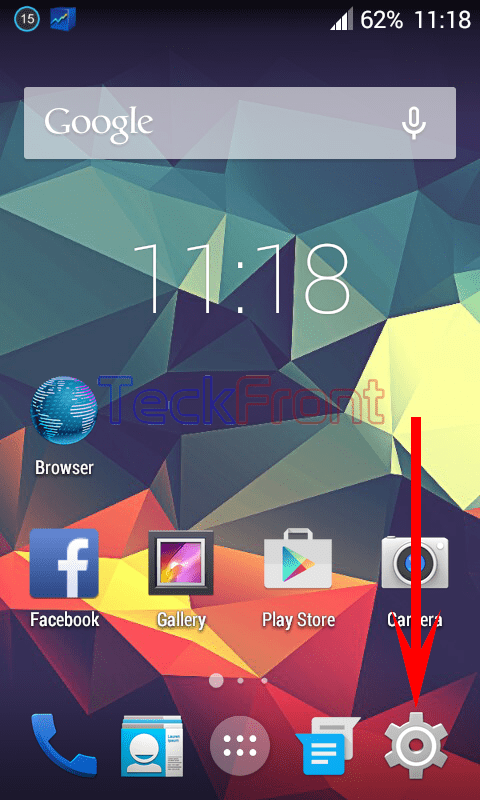 In case of application of this tip, TeckFront will not be responsible for any damage to your Android device. TeckFront warns you NOT TO ATTEMPT THIS TIP WITHOUT EXPERT’s HELP. 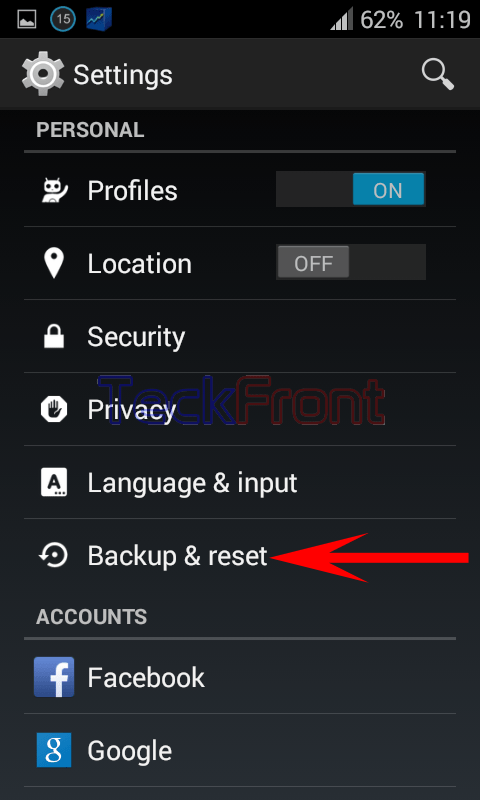 Before factory reset, it is a GREAT idea to take back up of your internal storage of your Android device so that after reset you may restore the important data, back to the device. 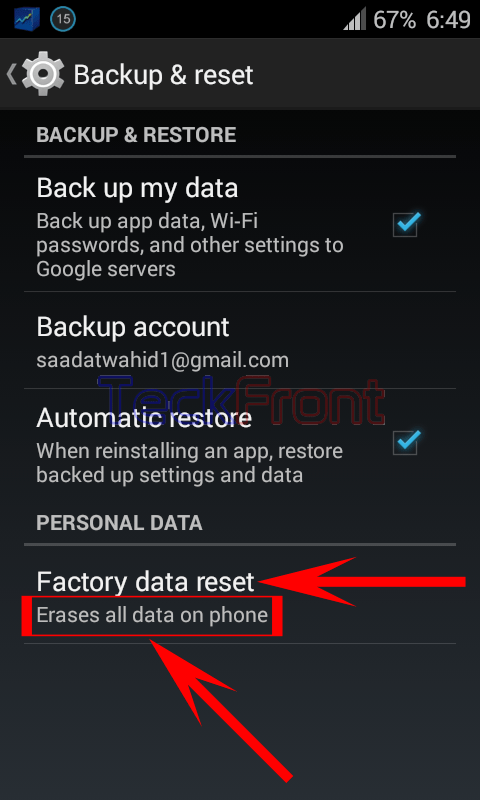 To get help on the factory reset, you may get help from these instructions. Command Line: Settings – HOME screen > Backup & reset – PERSONAL > Factory data rest – PRSONAL DATA. All downloaded apps. 4: If you are ready to take risk and lose whole the data on your device [while you have taken backup of your data in internal storage], tap ‘Reset phone’ button. Now, your Android device will be reset as per settings, set by factory. Newer How to Block Offensive Words in Google Keyboard in Android 4.4.4 KitKat Device? Older How to Add Words in Personal Dictionary for Android 4.4.4 KitKat Devices?